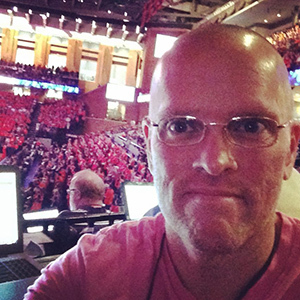 Chris Graham leads our live coverage as #1 UVA (15-0, 3-0 ACC) faces #7 Virginia Tech (14-1, 3-0 ACC) tonight at 7 p.m. at JPJ. The Virginia-Virginia Tech game will be televised on Raycom and streamed online on TheACC.com and broadcast on the Virginia Sports Radio Network, VirginiaSports.com and Virginia Sports app. Jerome, Guy and Hunter have started all 15 games, while Salt has started 12 and anchors UVA’s defense. Jerome, Guy or Hunter have led or tied for the UVA scoring lead in each of its 15 contests, accounting for 58 percent of the Cavaliers’ scoring. Alabama transfer Braxton Key is averaging 7.4 points and a team-high 5.9 rebounds, while Mamadi Diakite has averaged 6.8 points and 3.5 rebounds. Newcomer Kihei Clark has started four games and is second on the team in assists (2.5). Clark broke his left wrist against Morgan State, but hasn’t missed a game while playing with a cast. Manager Grant Kersey has appeared in seven home games.